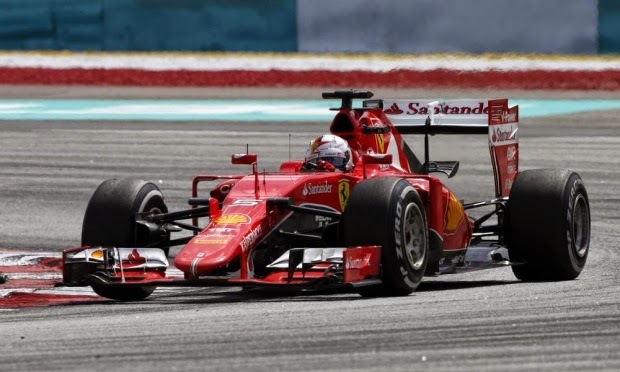 Sebastian Vettel won the Malaysia Grand Prix with a superb driver as the four time world champions wins his first grand prix for Ferrari and 4th in Malaysia. Lewis Hamilton finished 2nd and Nico Rosberg 3rd. Tune in to watch the next Bahrain F1 Live Stream 2015 Grand Prix in Shanghai this weekend starting from Friday 10th April 2015 to 12 April. 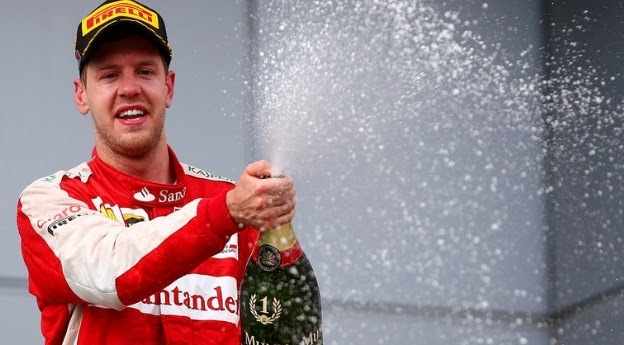 Fantastico Fantastico, Ferrari is back says Malaysian Grand Prix winner Sebastian Vettel, Ferrari celebrated the win sweetly and their was hint of tears in Vettels eyes. Lewis Hamilton finished 2nd and takes 18 points and a total of 43 after two grand prixs. Nico Rosberg finished quite a way back in third. Here is the short clip showing Sebastian Vettel on the radio with his Ferrari team after sealing the win in Malaysia Grand Prix. We will be posting the race highlights shortly. Lewis Hamilton started his 2015 Formula 1 championship campaign with a impressive win in down under Australia couple of weeks ago now we move to Malaysia where the second grand prix of the season will take place and Hamilton alongside Nico Rosberg will be looking to put their authority on both drivers and constructors championship. McLaren will welcome back Fernando Alonso after he missed the first grand prix due to practice session crash ahead of Australia GP. 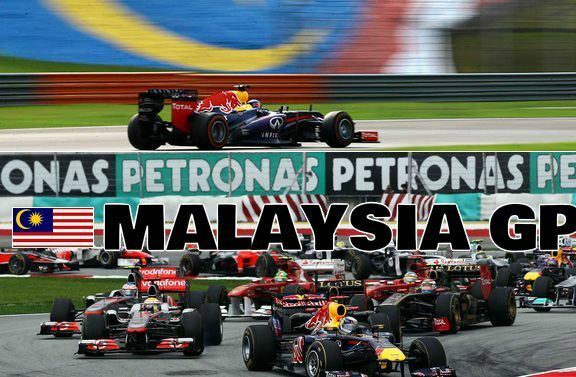 Malaysia Grand Prix has been a regular fixture in yearly calendar of Formula 1 since 1999 and races at Sepang International Circuit has always provided alot of thrill and drama specially since it became late afternoon start which means there is always a possibility of rain due to wet climate of the city. Lewis Hamilton and Rosberg finished 1st and 2nd respectively last year in this grand prix and they have started the 2015 season brightly as well. If we look at the past 5 races, new Ferrari driver Sebastian Vettel has won three times in the last 5 years with his former team Red Bull while Fernando Alonso has also won the race 3 times in his career. Official Tyres supplier Pirreli will offer white-marked medium and orange-banded tyres for the malaysia gp. If we look at the 2014 malaysia gp strategies of Hamilton and Roseberg we can see that they adopted a three stop plan, first two of which with medium tyre and the last short stint with the hard ones. So we might see the similar strategy and we might also see FULL WET TYRES at some point of the race.